For every dept, there's a mobile app. Build faster with the App Cloud. 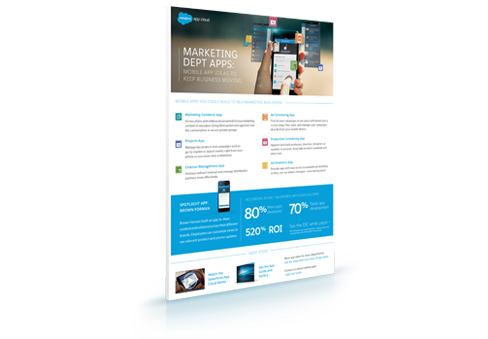 Discover the kind of mobile apps you could build to help Marketing go faster with the App Cloud. Plus, see the stats from an IDC white paper that show how Salesforce can help IT lead the mobile app revolution in your company. Download the 6 mobile app ideas for Marketing, now. Tell us a little about yourself. Then download the app ideas.